Florida is obviously known as the Sunshine State and it appears the skies couldn’t be any brighter for our state these days given some recently released economic news. According to a story in the Sun Sentinel which provided details from the U.S. Bureau of Economic Analysis, Florida’s economic growth in 2014 outpaced the national average. That’s just terrific! Florida’s economy has benefited from strong growth in (drum roll please) real estate and rental and leasing. With more than triple the national growth in the real estate sector, Florida was behind only North Dakota, said the federal data. 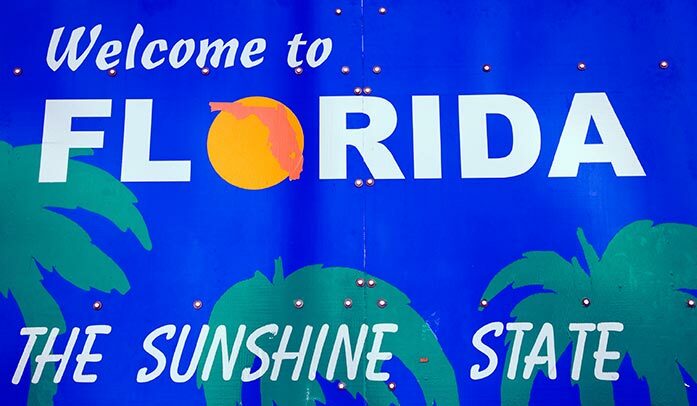 Overall, Florida’s economic growth ranked 11th in the nation – good enough to beat any state touching the Atlantic – including New York, Massachusetts, Virginia and Georgia. Further, growth in Florida topped all states east of the Mississippi River except West Virginia where the mining industry helped its economy. Goods and services produced in Florida increased 2.7 percent last year compared with 2.2 percent nationally, the bureau said. Florida has apparently been rebounding from a deep recession since 2011, when, according to federal data, the state’s economy actually contracted 0.6 percent. Goods and services grew only 1.7 percent in 2012, below the 1.9 percent national average. The final bit of positive statistical information reads like this – Florida’s economy outpaced the nation’s in 2013 and 2014. We say kudos to all of you for staying the course. As a group, we never wavered and accepted defeat during the recession. We say keep up the good fight!